Sustainablog: As we've noted many other times before, toilets are key tools in the fight against disease in the developing world. Unfortunately, the flush toilet that you and I know so well uses a lot of water, and requires, at minimum, the installation of septic tanks (if not urban-scale wastewater treatment facilities). So, do we just bite the bullet, install the toilets and infrastructure, and worry about the ramifications down the line? Or do we start trying to rethink the toilet? Many designers and engineers, largely spurred on by the Gates Foundation's Reinvent the Toilet challenge, are doing just that: trying to figure out how to maximize the sanitation benefits, while reducing or even eliminating the waste of resources. 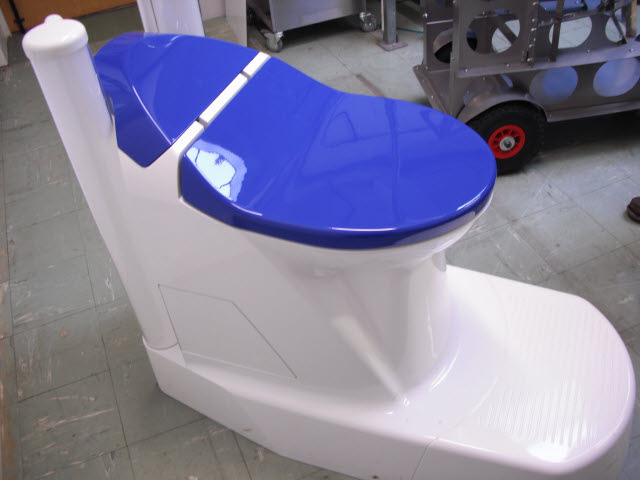 Great Britain's Cranfield University accepted the challenge, and researchers have spent several years working on their concept of the "nano membrane toilet."